Yes, Yes, Yes! April is finally here meaning that your garden soil is finally warming up! 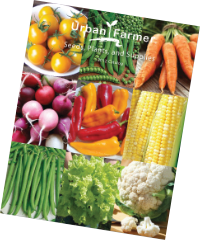 April is the best time to plant most of your vegetable seeds after your last frost for all zones. It’s still not too late to plant tomatoes and peppers from seeds as well! Check out the below vegetables that can be started in April. 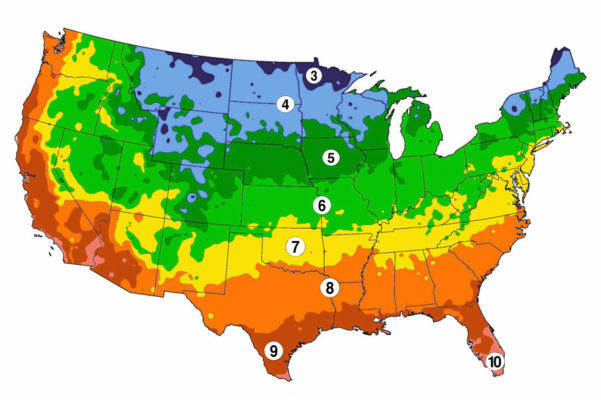 Be sure to check your gardening zone for last frost dates. Listed below are flower, vegetable and herb varieties that are great to start planting in April based on the Hardiness Zone that you live in. There are two main kinds of beans found in gardens, bush beans and pole beans. Start planting both bush and pole beans now that the soil and air are warmed up as they should not have been started indoors. Try a continual 7-10 day sowing of different varieties, this will give you continual bean crops and not one large harvest with wasted crop! Beets are a perfect cool-weather vegetables that come in a variety of hues and shapes. All Zones can sow beets now for a fast, early summer treat! Cabbage is one of the easier plants to grow in the garden. Sown in April will lead to a great summer harvest! Select a variety that is right for your location (size and maturity length) and be sure to fertilize and water when cabbage head begins to form. Carrots are a tasty summer treat for both humans and pets. Sowing in April will be sure to produce an early summer crop! Corn is a fast growing crop! Corn is delicious when grilled, boiled or steamed fresh off the stalk. Try a small plot of corn two weeks after the last frost, working your way to a large field of several varieties. Fast growing vine or bush cucumber plants can produce an abundance of cucumber fruits for a summer harvest. Be careful to pick a variety for the space you have in your garden. Cucumbers can be transplanted three weeks after being started or planted directly two weeks after the last spring frost. Eggplants are a great meat substitute and can come in different colors of white, orange, light purple and various shapes, for an attractive summer harvest. Herbs are great to grow inside year-round, but if you want to plant outside now you can start to plant heat loving herbs like basil, oregano, cilantro, thyme and sage. Lettuce is a fast grower, so you can stagger the plantings for a continuous harvest. Sowing lettuce in late spring is great for late summer and early fall crops! If you haven’t already, April is the time to start transplanting or directly sowing onions! Be careful to select an onion variety appropriate for your garden zone. If you are in a cooler climate, plant long day onions and if you are in a warmer climate, plant short day onions. Delicious green peas and sugar peas should be planted in April as they will flourish in the spring weather and will produce an abundance of May crops! Fresh, crisp peppers are a garden favorite and can produce high yields when planted close together. April is the time to sow as many different varieties as possible! They come small, big, hot, mild and an array of different colors. If you haven’t already planted your peppers outdoors, now is the time to do so! Summer squash is such a tasty summer treat when roasted or grilled! Planting summer squash in late April will lead to fresh, tasty squash and zucchini in the summer. If you haven’t already started your tomato seeds, start them now! Homegrown tomatoes taste delicious fresh, or they can be used for canning, sauces and other recipes. April is a great time to start to sow your flowers indoors so they can be ready for summer blooms!